New Horizons, my third Life Values print, celebrates the dramatic expansion of our horizons that follows the act of courage. My New Horizons takes us to a timeless harbor of the 18th Century. 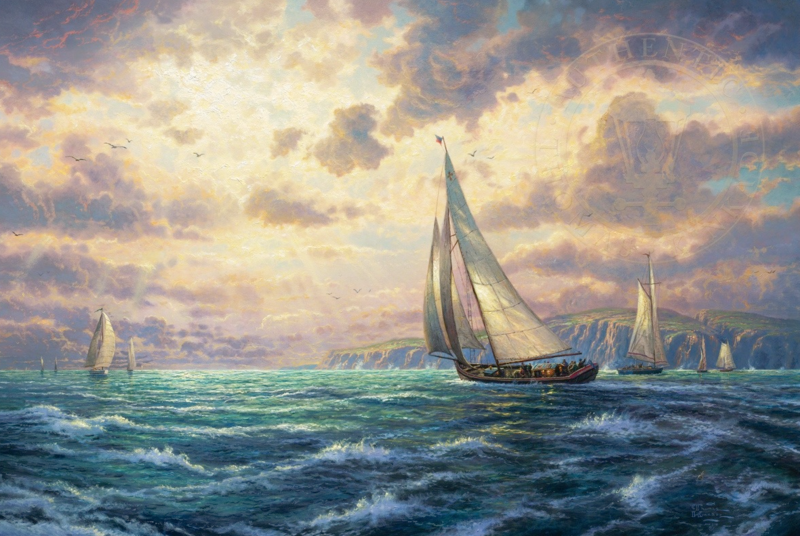 This classic ship sets confident sail for distant shores under a dramatic sky, as God’s rays pour from the heavens, reminding us that, with God’s help, our life can be a bold exploration of all that is new and enticing in the world. In the very begi nning of his artistic career, Thomas Kinkade put his entire life savings into the printing of his first lithograph. Though at the time he was already an acclaimed illustrator, Thom found that he was inspired not by fame and fortune, but by the simple act of painting straight from the heart, putting on canvas the natural wonders and images that moved him most. 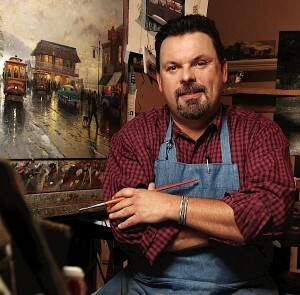 It was this dedication and singular-minded focus on the ultimate goal of Sharing the Light™ that made Thomas Kinkade, a simple boy with a brush from the small country town of Placerville, California the most-collected living artist of his time. Throughout his life Thomas Kinkade shared his joy and used his paints in support of hospitals, schools, and humanitarian relief. Though the recipient of countless awards and honors, it was Thom’s profound sense of purpose that his art was not just an accessory, but also a ministry, that continues on as his legacy. From custom images that were sold for The Salvation Army, Hurricane Katrina relief, Rotary International, to donations that now grace the halls of St. Jude’s Children’s Research Hospital, the White House, The Vatican, and Britain’s Tate Museum, Thom raised hundreds of thousands of dollars over his lifetime for charity.